Here is the card I made for my good friend. She is celebrating a very special birthday today, 50 years of blessings. 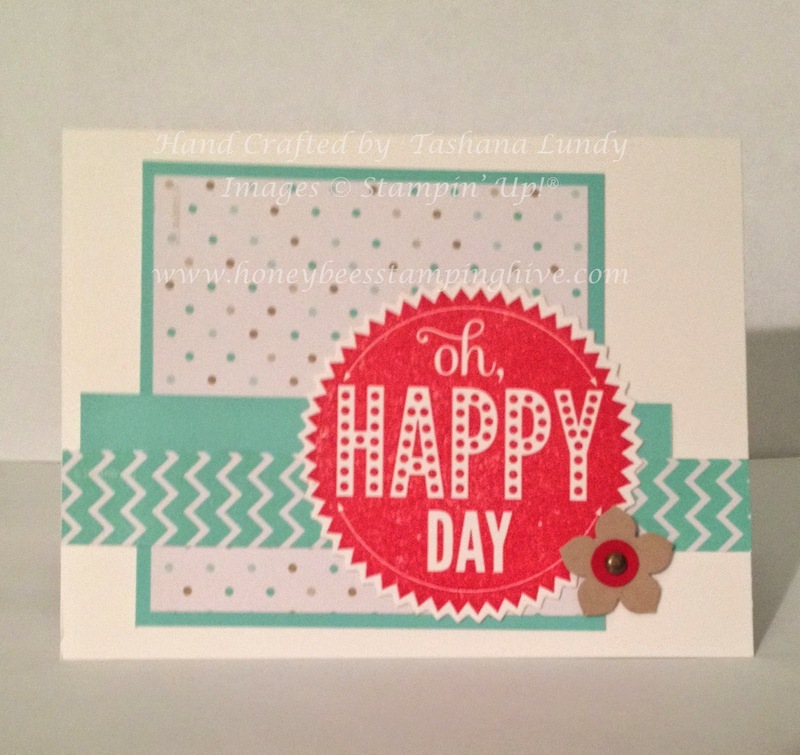 I used the Happy Watercolor stamp set along with the Label Love set (punched out with the Artisan Label Punch). 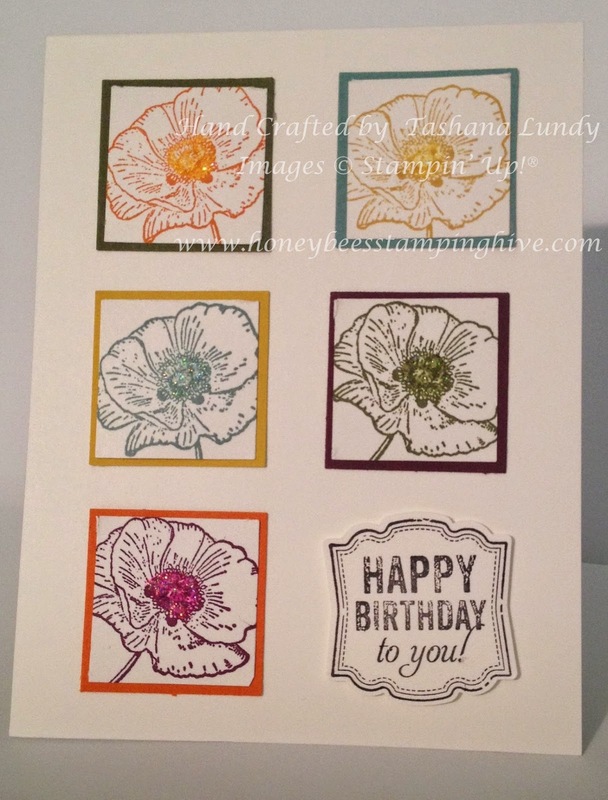 I stamped the flower in each of the 5 NEW In Colors. I also layered using the new In Color card stock. I added a little touch of Dazzling Details in the middle of each flower. Today my hubby and I are celebrating our 15th wedding anniversary. I altered this box from a local craft store to place a few special items in. I made a card on the inside of the book/box. I love everything about this box. The color, texture and size. It is about 4"x6", measuring the outside. For the outside of the book/box I used the packing paper that comes in a Stampin' boxes when you order products. These are a couple of the cards I made for Mother's Day. The first one is for my sister-in-law. She is a first time mom. Her baby is was born on May 1st. I used the Starburst Sayings stamp set with the coordinating Framelits. The DSP is from the Fresh Prints Stack. I used Real Red ink and Coastal Cabana card stock. The flower is Crumb Cake using the Petite Petals punch. The second card is for my mother-in-law. 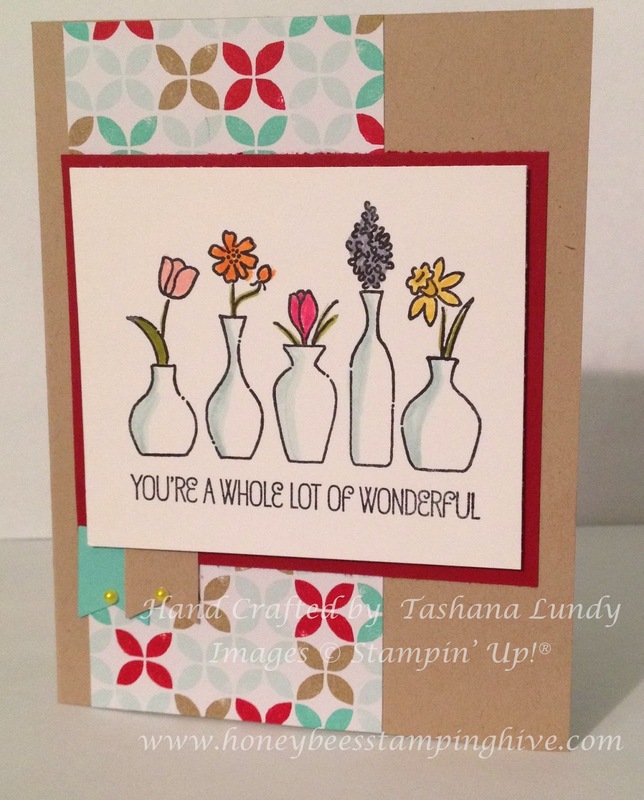 I used the Vivid Vases stamp set with Cherry Cobbler, Crumb Cake and Coastal Cabana card stock. The DSP is from the same stack..Fresh Prints. 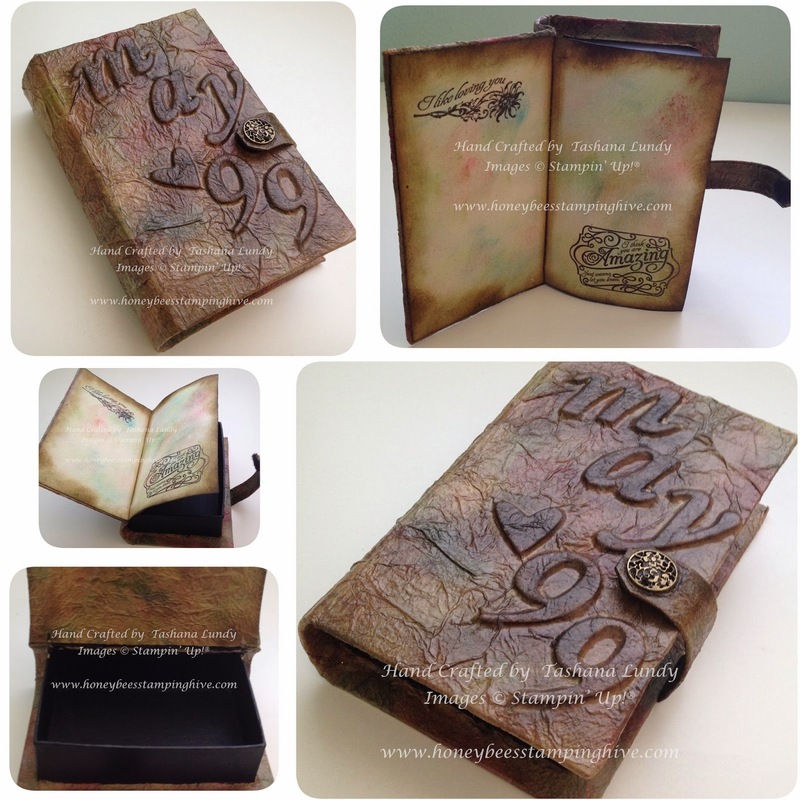 I cased the layouts from two other stampers.